[21:16] -NickServ- This nickname is registered. Please choose a different nickname, or identify via /msg NickServ identify <password>. [21:16] -NickServ- You have 30 seconds to identify to your nickname before it is changed. [21:16] -NickServ- You are now identified for DataBot. [21:16] -MemoServ- You have 2 new memos. [21:18] <chisight> cub28: your resolution, color depth and frame rate are very doable on a good spi graphic lcd. [21:18] <cub28> any links where i could look at the product? [21:19] <chisight> maybe crystal graphics is a place to look. [21:20] <chisight> raspberry is very different from arduino. the existence of an os has a big impact on best case performance. [21:22] <cub28> so where can i look at chrystal screens for sale? [21:24] <chisight> that advanced comes at a cost for some things. you'll have to do something to convert your gif to a bit stream, then use dma to get that plus any screen commands to spi. you won't be able to just push it to spi in a loop because the os will only run your code part of the time. [21:25] <chisight> crystal graphics has a website with a store front. [21:37] <chisight> cub28: the "easy" but more expensive path is to get an hdmi screen or the raspberry pi lcd touch screen. then you just convert your video to h264 on your pc and play it with omxplayer. [21:41] <leftyfb> solars: I don't understand. 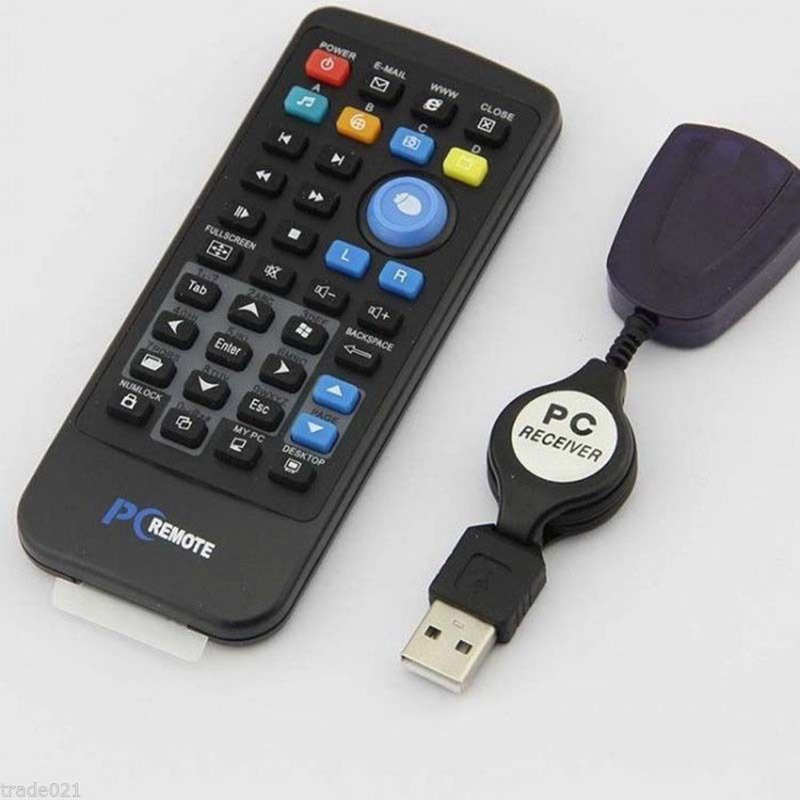 You want to use a $35 raspberry pi with a ~$10-$20 IR receiver to turn your tv on and off instead of a $5 universal remote from walmart? [21:44] <leftyfb> ok, you would have to look up instructions for your IR receiver/remote to understand how it works. [21:53] <cub28> <chisight> cub28: the "easy" but more expensive path is to get an hdmi screen or the raspberry pi lcd touch screen. then you just convert your video to h264 on your pc and play it with omxplayer. <<< How much would that be?? [21:53] <mattwj2002> sockofleas: what is wrong and how can I help? [21:54] <chisight> I'm not a store, i don't have pricing. the price will vary, your location has a big impact. [21:54] <sockofleas> any chance you're in the hackathon hackers fb group? [21:54] <cub28> what should i search for then? [21:55] <mattwj2002> sockofleas: I can't get to the web page! [21:56] <chisight> in the us, i would expect all the paths to be under $100. if you have that budget, I'd get the pi touch screen off amazon and be done with it. [21:56] <mattwj2002> sockofleas: are you having sound issues? [21:56] <sockofleas> how do i test the mic? [22:00] <HeathHayleiOS6> cybr1d: did you see my pm? [22:03] <cub28> leftyfb, what page is that one? [22:05] <cub28> wow 70 bucks, what about the pi board? [22:05] <leftyfb> cub28: are you asking how much a raspberry pi is? [22:06] <cub28> you saying theyre all the same? [22:06] <cub28> theres just one rasberry? [22:06] <cub28> ok, how much is a cheap one? [22:06] <leftyfb> cub28: why are you here? [22:07] <chisight> cub28: it will meet the needs of the project. [22:07] <SpeedEvil> hmoney: It depends. [22:08] <cub28> ok so it wont run off a usb connection? [22:08] <ankr> Hello people. I have a rpi1mB running retropie. I was trying to play my good ol' game Mario Cart 64 -- which is running very very laggy. Do you guys think a rpi3 would be up for the task running this game through emulator? [22:10] <leftyfb> malimaj: 2.5A is highly recommended if he plans to do anything with it other than headless. [22:10] <hmoney> speedevil: do you have a pi alexa setup? [22:11] <chisight> leftyfb: why, the zero has spi, just like the others. [22:12] <hmoney> matt w/ the alexa install? [22:12] <hmoney> what are you stuck on? [22:12] <chisight> leftyfb: the 3.5" one is spi. [22:13] <chisight> i never suggested the official one. i only linked the 3.5" spi. [22:13] <hmoney> have you guys actually gotten good use out of the 3.5 TFT screens? [22:14] <mattwj2002> hmoney: do you know how to run this dang thing over bluetooth? [22:15] <hmoney> mattjw: you mean to have alexa respond via a bluetooth speaker attached to the pi? [22:15] <chisight> ok. we're talking different approaches leftyfb. yours won't work with the zero. [22:17] <leftyfb> swift110: to be honest, after all is said and done, it makes more sense to just buy an echo dot. [22:17] <chisight> cub28: you'll have to shop carefully to keep under $100 for leftyfb's 7" approach and the $5 pi won't work. the 3.5" will easily be under budget and will work with the $5 pi. [22:22] <leftyfb> swift110: why would you want there to be if most people are here? [22:23] <hmoney> any ham guys here running ham-pi related stuff on the pi? [22:26] <swift110> Has anyone else installed Blender on their pi 3? [22:30] <hmoney> their script is open source on github, what's wrong with that? [22:32] <damntourists> quick question -- it appears my raspberry pi's SD card has corrupted. should i obtain a new sd card or would formatting it and restoring a backed up image make it like new again? [22:35] <damntourists> i'll go ahead and give it a go then. [22:35] <hmoney> was the image made on the same pi? [22:35] <hmoney> like going from a pi3 to a pi3? [22:36] <malimaj> damntourists: how did it happen that your sdcard got corrupted? [22:37] <malimaj> once I "burned" the sdcard because I did unplugg the power when the sistem was booting. [22:37] <mattwj2002> sockofleas: did it work at all for you? [22:38] <cub28> is that right? [22:38] <cub28> thats a good combo? [22:39] <hmoney> is that one that you need the gpio pins for? [22:39] <cub28> wait, can i program it with windows?? [22:39] <hmoney> if so, do you know how to solder? [22:40] <hmoney> then buy a pi3, pi zeros create a lot of extra work for simple things..
[22:40] <cub28> pi3, 3.5 display and win10 can program yes? [22:40] <hmoney> pizero: $5, wifi dongle: $10, usb hub: $10 or more? [22:40] <swift110> Yes, pi zeroes are inexpensive from first glance, but once you buy the extra parts that you need the price can go up quite a bit. [22:42] <cub28> putty is just for shooting quick commands to it right? [22:43] <cub28> what was that site that has the tutorials for this? [22:44] <hmoney> for example "raspi wifi setup"
[22:47] <cub28> and where do u recommend i buy the components? [22:48] <cub28> i think i may get it cheaper away from adafruit? [22:51] <mattwj2002> what is this magic mirror I keep on hearing about? [22:52] <cub28> i know that, but they wont mind looking at it if they have to wait. [22:54] <cub28> what was that called? oxmplayer? [22:54] <cub28> u said i need that? [22:56] <cub28> lemme take a look. thanks! [22:56] <cub28> whats with the blinking light tho? [23:00] <cub28> waveshare? and where do i get that? [23:05] <GreeningGalaxy> Hey, I'm trying to control robots using RPis on an ad-hoc network, and everything's going great except that every few seconds or so the connection seems to freeze for about a second and then resume. Normally packets get sent basically instantly (in a matter of milliseconds) but then suddenly they start not arriving for a whole second or two. [23:06] <GreeningGalaxy> Is that the device firmware hanging while it's figuring out how to route packets, or something more preventable? [23:19] <JakeSays> GreeningGalaxy: i've never had good luck with pi's and wifi. [23:21] <bub_> hm, tried using wireshark or some other tool to watch the packets? [23:21] <hmoney> what is creating the adhoc? a raspi? [23:22] <GreeningGalaxy> the network is started by one of the two pis that comprise it. Never seen a difference if I start it from my laptop, though. [23:22] <GreeningGalaxy> but since ad-hoc is peer-to-peer, I don't think that matters. [23:23] <hmoney> so one pi is acting as an AP. does that pi have two wifi interfaces? [23:23] <GreeningGalaxy> No, neither pi is acting as an AP, that's what ad-hoc means. Both are acting as ad-hoc nodes. same standing. [23:24] <GreeningGalaxy> AP/station is characteristic of infrastructure networks, not ad-hoc. [23:26] <JakeSays> well, there's obviously a hangup..
[23:30] <sockofleas> mattwj2002: how do i run alexa with alexapi? [23:33] <dr_willis> wife was ready to kill her alexa the other day. Power went out in middle of night.. alexa rebooted.. said 'Hello' - scared the wife half to death..
[23:34] <hmoney> dr_willis is it possible to turn that off in the config? [23:35] <mattwj2002> dr_willis: real alexa or the rpi one? [23:36] <dr_willis> its basically an alarm clock and 'whats the weather today' every morning sort of a tool for me. [23:37] <mattwj2002> sockofleas: how did you get it to work? [23:44] <hmoney> sock does that alexapi setup respond to voice or button press? [23:53] <cnnx> is raspian debian ? [23:53] <cnnx> to make it work on ARM arch? [23:54] <hmoney> Raspbian is an unofficial port of Debian wheezy armhf with compilation settings adjusted to produce code that uses "hardware floating point", the "hard float" ABI and will run on the Raspberry Pi. [23:54] <cnnx> is it good to work on part time when im not at work? [23:54] <hmoney> The port is necessary because the official Debian wheezy armhf release is compatible only with versions of the ARM architecture later than the one used on the Raspberry Pi (ARMv7-A CPUs and higher, vs the Raspberry Pi's ARMv6 CPU). [23:54] <GreeningGalaxy> cnnx: the RPi is the best SBC for people new to ARM development because it has the largest userbase of beginners and beginner-friendly experts. Other SBCs may have similar or better specs for lower prices, but will be more difficult to work with. [23:55] <GreeningGalaxy> and the Pi 3 is still probably the best price I've seen on a board that has physical desktop ports and integrated wireless. [23:55] <cnnx> it doesnt come with a power supply? [23:56] <cnnx> pixel is the WM? [23:57] <GreeningGalaxy> I don't know much about it, I think it's a desktop environment that's called PIXEL. not sure what WM it uses. [23:57] <cnnx> where's the most offciial place to buy a rpi in canada? [23:57] <cnnx> rpi is european? [23:58] <cnnx> are you guys mostly in europe?